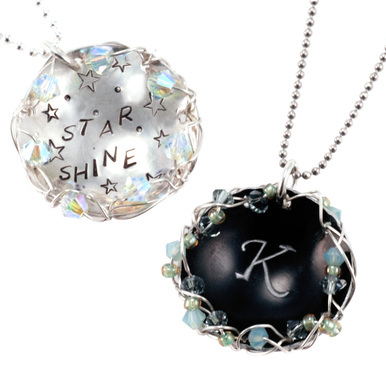 Have you wanted to learn how to solder one metal blank to another to make a pendant? Have you tried to glue those pieces together, just to find out that what you really need to do is learn to solder? Soldering IS simple...Kate breaks this technique down in an easy to follow step-by-step class that teaches how to use a butane torch to solder sterling silver, copper and gold-filled blanks to make simple, yet stunning pendants. This class was very informative. I can't wait to start. So I understand that you can NOT use ALUMINUM. I wouldn't have known that. Good to know. You make it look so fun and easy! Thank You! Great beginning soldering video!!! Kate makes things so clear and easy to follow! Thanks for the free class. Very informative and easy to follow! Great and informative class...well led and I love the Penny Brite option! Great teacher! This class answered a lot of my questions. Thanks for this free education opportunity. Really informative! Thank you! I have a question about the silver soldering paste. Somebody told me it has an expiring date and you have to store it in the refrigerator is that true? And if so, how long is the paste usable when once opened? The numbers on the solder paste syringe are not an expiration date. They are; the lot #, weight of the material, and the date the solder paste was manufactured. According to the manufacturer it should be stored at room temperature and out of the sunlight. We have had some of our solder paste for a lot of years in a bin on our work bench and haven’t had any go bad or dry up. Just remember to put the cap on when not in use. Kudo's to you Kate! I have always loved watching you explain your projects in great detail. This project should be very easy for the beginner....and even us who are more advanced and sometimes need a little bit of refreshing. Make your thoughts and dreams come true! Go get some metal and start laying out your dream. You will be happy! As always, a great class. 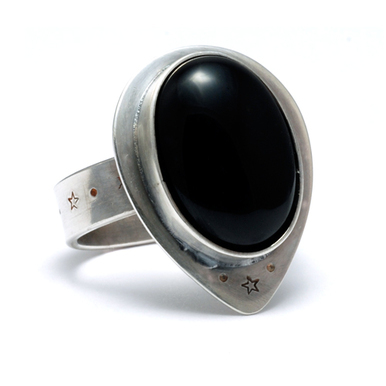 Kate's classes are so easy to follow and wonderful for beginners to advanced metal- smiths. You are the best Kate! Thanks Kate for another great teaching video. I have been going through all the videos about soldering and hope to jump in soon. Still kinda nervous. Thank you Kate for this video. You have such a clear and concise and calm way of teaching. I think even i can solder after watching this. Once again, Kate rocks it. I found the tips on gold filled the most useful as I have avoided it for the very reasons Kate mitigated here. Thanks much!